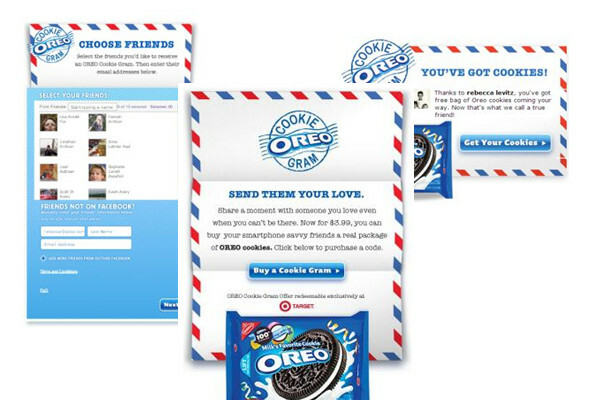 Oreo lovers selected a friend on Facebook or provided a gift recipient's email address, then made a purchase from an Arrowhead-hosted site that collected payment information, including secure credit card processing. The purchase triggered an email directing the recipient to provide a smart phone number where their text/coupon could be sent. The consumer than went to a Target store to pick up their free package of OREO cookies, using the digital coupon at checkout.